The Leo Baeck Centre (LBC) is a Progressive Jewish community based in Kew East, Victoria, Australia. We are a vibrant, friendly and inclusive congregation, here to assist anyone interested in Judaism. In this section of our website there is information about many aspects of the centre, including who we are, some features of our facilities and becoming a member. Founded in 1949 and established on its current site on Harp Road, East Kew in 1971, the Leo Baeck Centre is a Progressive Jewish congregation serving Melbourne’s eastern and northern suburbs. Progressive Judaism adapts traditional Jewish practices and beliefs to meet modern conditions. We are committed to egalitarian treatment of men and women, to individual choice and diversity in religious practice and to improving the world for the good of all people. About 300 families are members, with all ages represented. In some families, only one adult is Jewish. We welcome these families, and several non-Jewish partners choose to become a ‘Friend’ of LBC. We provide religious and pastoral services, as well as social, cultural, artistic and educational programs, to our members and the wider community. We are known as a congregation that enjoys music and spirited discussions. We employ a rabbi and part-time administrative secretary and caretaker, as well as sessional teachers and musicians. About one-third of our members also fulfill some voluntary role, and our Board of Management is also voluntary. We are committed to engagement with our local community, and many of our educational and cultural events are widely publicised locally. We contribute to the annual Kew Festival through holding a Civic Service, Annual Lecture and art exhibition. Our centre is also a leader in interfaith dialogue with both Christians and Muslims. We take our name from Rabbi Dr Leo Baeck who was a German rabbi and religious thinker, and is considered to be the founder of Progressive Judaism. 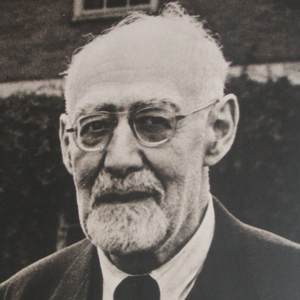 He was born in Lissa, now Poland, in 1873, the son of Rabbi Samuel Baeck, and died in London in 1956. He first studied at the Conservative Jewish Theological Seminary of Breslau and from 1894 at the liberal Hochschule fuer die Wissenschaft des Judentums in Berlin. At the same time he also enrolled in philosophy at the University of Breslau and at the University of Berlin. Leo Baeck wrote about our emotional awareness, our experiencing the Divine. This awareness naturally leads to ethical acts, what Baeck called the commandments. At the same time, we can also maintain peoplehood, a sense of our role in history, through ritual acts, which give expression to our sense of mystery. Baeck, considered to be a liberal modern Jew, was not prepared to assign authority to the ritual acts, only to the ethical imperatives. For him, God is both transcendent, immanent and real. Therefore being Jewish consisted of being ethical and striving for universal good, experiencing the mystery of the Divine, and maintaining the survival of Jews throughout history. He felt it was his duty to stay in Germany during WWII and in 1943 was deported to Theresienstadt concentration camp. There he continued to encourage and to support people as far as possible. Thus, he became a “witness of his faith”, He survived and in July 1945 he shifted to London. He became president of the council of Jews from Germany and chairman of the World Union for Progressive Judaism from 1948 until his death in 1956. 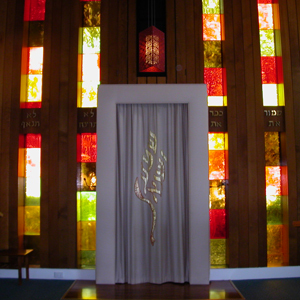 The Congregation’s logo is embroidered on the parokhet (curtain) of the ark which houses the scrolls of the Torah. The Hebrew letters read Shema Yisra’el, which translates as ‘Listen, Israel’ (meaning Jewish People) – and is the central Jewish declaration of faith in the One God. The letters are flames inside another flame – representing the ner tamid – the everlasting light found in every synagogue, showing God’s continual presence in the world and in our lives. Every Jewish congregation, just like every Jewish person, has a Hebrew name. Our name is Kehilla Kedosha Shema Yisra’el – Holy Congregation – Listen, Israel.